Hosted by Datchet Water Sailing Club, the Wayfarer Inlands and first event of the Craftinsure National Circuit (NCS) and Travellers Series got under way over the weekend of the 6/7th April with thirteen Wayfarers in attendance, with four home boats joining nine visitors including last year’s NCS champions Michael McNamara and Simon Townsend and runners-up Andrew and Tom Wilson. Several other seasoned Wayfarer circuit regulars were in attendance, although there were a few absences because of illness and injury. On the first day, races 1 and 2 were held in a steady F3-4, with a decreasing breeze in race 3. 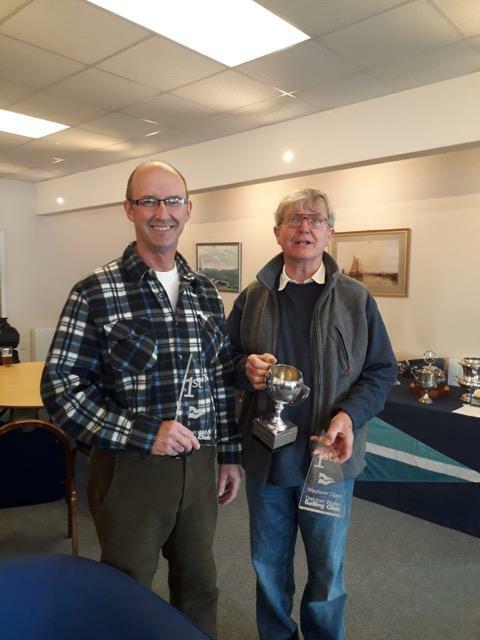 Many competitors had not had a tremendous amount of sailing since the Circuit Finale at Bough Beech last year and used the event as a shake-down before the season’s main events including the Internationals in Ireland in July. To test the boat-handling of the teams, the race officer and his team adopted an interesting and previously little used (on the Wayfarer circuit at least) “reversed P course” that combines triangle and sausage in a single lap, enabled by having a huge beat the length of the reservoir. As predicted, a titanic tussle began to develop at the front of the fleet between the front-runners from last season (McNamara/Townsend and Wilson/Wilson). The Wilsons just edged day one with two bullets to McNamara’s one, winning races 2 and 3 and only narrowly being pipped in race 1 by the downwind cunning and guile of McNamara and Townsend. At the end of day 1, Lamb/Pygall were the “best of the rest” with a consistent score line of three 3s just ahead of a very congested midfield pack that John Goudie/Sam Boniface led ahead of the Dynamic O’Donnells. The second day dawned with little change in wind direction but a decrease in strength which inevitably would provide even greater emphasis on a good first beat and position round the windward mark. The Race team moved away from the P course and adopted standard windward leeward courses for the duration of the day. An early start of 1015 to ensure an early finish was immediately put off track as the star-studded Flying Fifteen fleet that were sharing the open repeatedly transgressed under first Blue Peter and then U flag until the race officer gave up and allowed the Wayfarers to start first. Despite the delay, the Wilsons sailed an immaculate race 4 to lead from start to finish with McNamara/Townsend well behind, taking control of the open meeting with three bullets in the first four races. Lamb/Pygall continued their string of 3rds to lead the chasing pack and the consistent John Goudie came 4th. With the formidable boat speed being demonstrated by the Wilsons, McNamara/Townsend had it all to do to retain the Inlands. Race 5 proved critical. A familiar battle up the beats and down the runs between McNamara/Townsend and the Wilsons culminated in an epic battle royale down the final run where a gybing battle ended with McNamara squeezing Wilson practically into Heathrow Terminal 3 before gybing back and then rounding the final mark half a boat length ahead. This was a masterclass of downwind tactical sailing. Behind these two, Lamb/Pygall were awestruck spectators and took their familiar position of 3rd with Goudie/Boniface 4th once again. The final race saw McNamara/Townsend needing to win to take the Inlands and after a somewhat chaotic light wind start, the duo cut through the pack with unrivalled boat speed and emerged clear ahead of Lamb/Pygall with the Wilsons buried on the right-hand side of the beat. Rounding the windward mark a couple of boat lengths ahead, McNamara/Townsend sailed off into the distance largely unchallenged. The Wilsons cut through the field and challenged Lamb/Pygall but up the final windward leg McNamara loose covered Lamb/Pygall who in turn were covering the Wilsons. In the end, McNamara cruised through to take the bullet and seal the Inlands by virtue of winning the last race having tied with the Wilsons on points. A remarkable achievement. 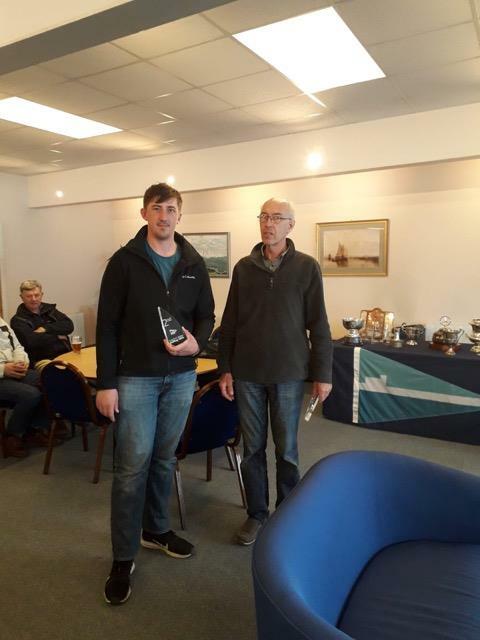 Other worthy mentions over the course of the weekend outside of the podium include John Goudie who put together his most consistent regatta for a number of years to come 4th overall and Wanderer National Champion and Inland Champion Adam Wickenden in 5th. A great event hosted by Datchet as usual with very efficient race management in testing conditions, particularly on the Sunday. The Wayfarer circuit now moves onto West Oxfordshire at the end of the month for a different variety of pond sailing before some estuary sailing on the Medway in May, and a trip to Shoreham in June.